If you were told that an educational institution existed that would enable you to earn a year of college credit at zero financial cost and with minimal hassle –from a for-profit private entrepreneurial venture — you would no doubt be suspicious. I receive several pitches a week from individuals trying to promote all sorts of innovations, so I was especially dubious of this proposition – until I talked to Grant Aldrich, the fellow who helped initiate this project, and after reflecting a bit on modern internet-based businesses. Hundreds of millions daily use at zero cost an immensely popular social media platform, Facebook. It provides much joy to user’s lives. Moreover, Facebook, Inc. has, of this writing, a market capitalization of $539.6 billion and its founder and CEO, Mark Zuckerberg, is at age 34, one of the richest people in the world. I suspect Grant Aldrich thinks that the Facebook model can be replicated successfully in higher education. Aldrich’s website (https://onlinedegree.com) will provide users with free, high-quality online college-level courses, financed through advertising, sponsorships, etc., much like Facebook and Google do. The venture is brand new and modest in scope and is just now ready to launch its project. He is bringing market-based capitalism to higher education without the crutch of government-subsidized student loans. Yet Aldrich claims that he is not out to destroy traditional higher education, but rather to revitalize and support it. Students ultimately would go from his online courses into traditional schools, saving at least 25% of the cost through credit transfer, making traditional education significantly more affordable and viable. Rather than bypassing traditional universities like the MissionU’s or Coursera’s, we have a disruptive solution to innovate within higher ed to combat student debt and bring students back to a collegiate path. Here’s the quick summary: At OnlineDegree.com, anyone could receive credit, up to their freshman year of college, completely tuition-free. All from home, on their own schedule, no pressure, and no applications. We offer students free college-level courses and work with accredited universities across the country to award college credit for the courses students take. With many options to complete their entire freshman year equivalence, there are potential pathways to receive up to 44 units of recommended semester credit at over 1,400 colleges throughout the US…and growing. By understanding the predicament that working adults have, it’s obvious that the current educational system hasn’t made it simple or easy enough for them to go back to school. They’re busy, can’t afford it, and have a lot of anxiety taking the first step. We’re changing that. Students take as many college-level courses as they’d like on gen ed topics like Psychology, Robotics, Computer Programming, Marketing, History and many more…free. We’ve then worked with participating accredited universities across the country like Southern New Hampshire University, Excelsior College and others, so students can receive college credit for the courses they’ve taken. In addition, there are pathways to receive credit at over 1,400 schools in total throughout the US. Online and Available 24/7 – No class schedules, no fixed times, and completely self-paced. Working adults now have a “bridge” to start their path back to school in 1 minute instead of 1 year in some cases…regardless of their finances or busy schedules. They can test drive different courses and subjects on their own schedule, be better prepared for college-level coursework at a university, and potentially receive college credits toward their degree. Given the common unfortunate student perception that applying directly to a community college or 4-year is intimidating, inflexible and/or costly, we’re more like “wading” into the pool rather than expecting everyone to jump in. We will always be 100% free to students…we’re not going to compromise on that. We’re exploring a marketplace for tutoring, Patreon, Kickstarter, university sponsorships/advertising, private grants, and many other avenues. We are bold enough to look outside of the traditional tuition paradigm to ensure we don’t exclude anyone from participating. There are all kinds of ways to keep the lights on without charging students or sacrificing educational quality. Despite overwhelming demand to go back to school in the face of eroding manufacturing jobs, robot automation, and a quickly modernizing economy, millions of working adults are still not going back to school at a traditional university. The key is to understand the predicaments of the working adult: accessibility and affordability. Other marketplace offers that circumvent higher education have become increasingly popular. We’re solving this by removing all of the barriers to enable that first critical step in starting back towards a traditional university. “We’re devoted to helping the millions of Americans seeking a college education who are unable to take the first step, and at OnlineDegree.com, they could potentially complete up to their freshman year of college tuition free,” says Grant Aldrich, Founder of OnlineDegree.com. Artificial intelligence is the stuff of science fiction – if you are old enough, you will remember those Terminator movies a good few years ago, where mankind was systematically being wiped out by computers. The truth is that AI, though not quite at Terminator level yet, is already a fact and something that most of us have encountered already. If you have ever used the virtual assistant on your phone or the Ask Google feature, you have used AI. Some companies are using it as part of their sales and marketing strategies. An interesting example is Lowe’s Home Improvement that, instead of chatbots, uses actual robots into their physical stores. These robots are capable of helping customers locate products that they’re interested in, taking a lot of the guesswork out of the entire shopping experience. Of course, there are a lot of different potential applications for AI that are very interesting. Imagine an AI teaching assistant, for example. They could help grade papers, fact check and assist with lesson planning, etc., all to make our harassed teachers’ lives a little easier. Chatbots could be programmed as tutors to help kids better understand core topics if they are struggling with them, ensuring that they don’t hold the rest of the class up. And, for kids who have a real affinity with the subject, help them learn more about what they are interested in. It could also help enhance long distance training. Imagine if your students could get instant answers to basic questions through a simple chatbot. Sure, if they were still not getting it, they would come through to you – the chatbot cannot replace a real, live, teacher after all. But it could save you a lot of time and frustration. Here, of course, we have only skimmed the surface of what artificial intelligence is capable of. 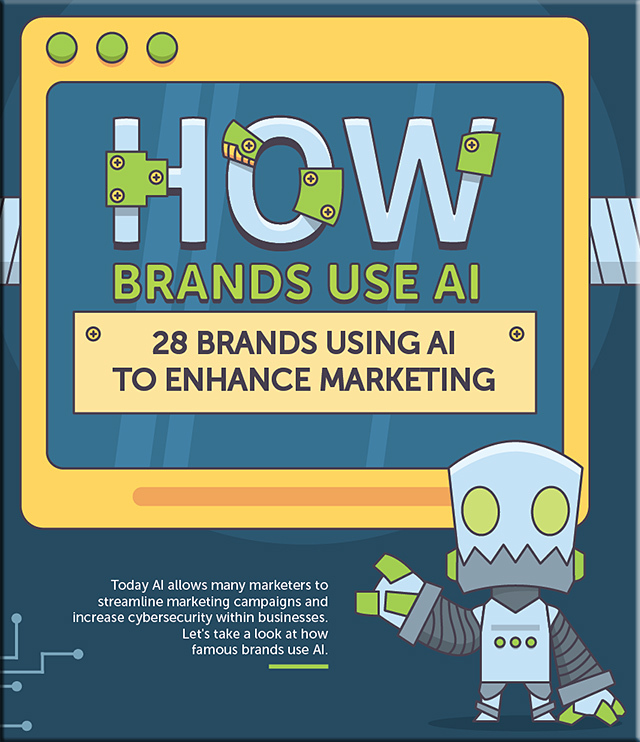 Why not look through this infographic to see how different brands have been using this tech, and see what possible applications of it we might expect. What if a text or work of art is no longer read, but instead, experienced? What new questions are raised when it’s possible to visit an author’s home or stroll through the streets of an ancient city? How will our interpretations of literature, art, history and archaeology change when we are no longer passive recipients but co-constructors and actors in immersive experiences? How will this challenge us to think outside our current learning paradigms? These and other questions arise when we examine the impact of immersive technologies on the humanities and the social sciences. Microsoft is launching its own answer to virtual reality today, taking on HTC and Oculus in the process. Windows Mixed Reality will be available in the Windows 10 Fall Creators Update, and headsets are now available to buy. Here’s everything you need to know about Windows Mixed Reality. Microsoft is offering movement tracking (six degrees of freedom) without the need for traditional external sensors placed throughout a room. 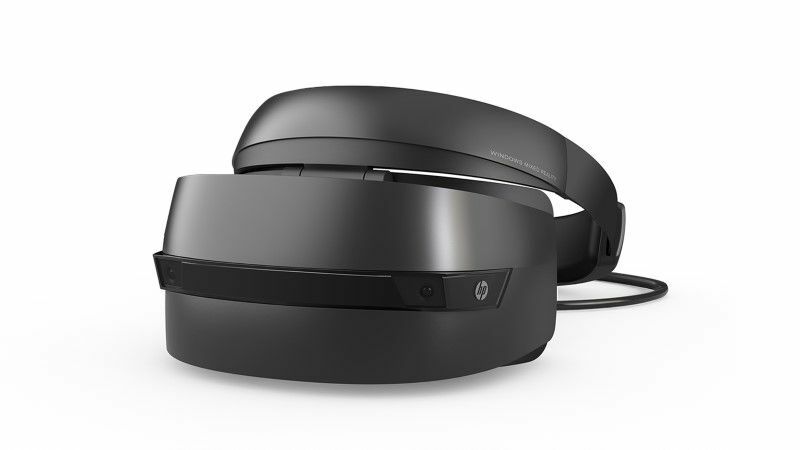 Windows Mixed Reality headsets have cameras and sensors to track the motion controllers. …Walmart, the world’s largest retailer, is setting its sights on virtual reality. Imagine this, says Katie Finnegan, who heads Walmart’s tech incubator: You need a tent for your next camping trip. If all goes to plan, you could one day virtually swoop in to your campsite and see any given tent in action. “You could unzip it, lay down, look left and right and say, ‘Oh, this is supposed to be a two-person tent? It’s kind of tight,’ ” she said. And then you could move on to the next tent — without leaving your couch. 3-D holograms at Bonobos.com, the male clothing site Walmart acquired this year for $310 million, that would make it possible for shoppers to try on virtual clothing for fit and style. At ModCloth, the women’s clothing site Walmart took over in March, customers may one day be able to take 3-D photos of themselves using their smartphones, and use those images to get an idea of how something might look on. An “interactive virtual store” for designer Rebecca Minkoff, whose items are sold at Walmart.com, would allow customers to sit in on fashion shows and shop directly from the runway. Tired of shopping online alone? If Walmart gets its way, you may soon be interacting with other shoppers and experts as you pick out items for your virtual cart. Electric outlets, stove tops and door handles can all be child safety hazards — and soon, an online tool could peek inside your home and tell you where the biggest risks are lurking. 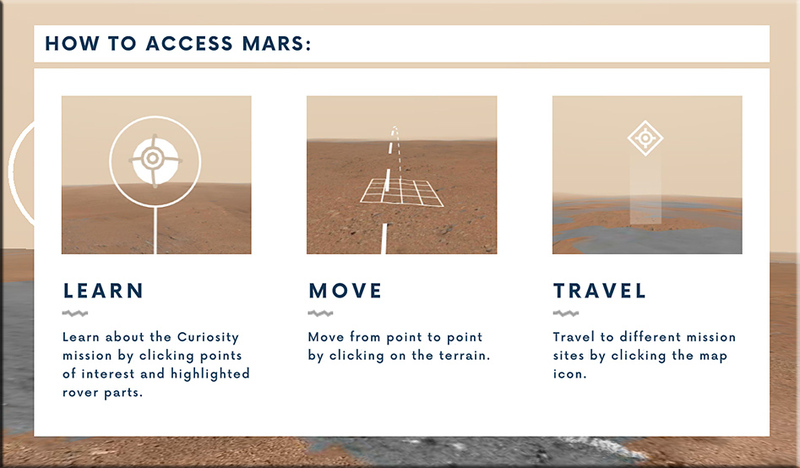 Google’s new project allows viewers to explore the discoveries of NASA’s Curiosity rover. NASA and Google have teamed up to build a new virtual experience that lets space enthusiasts explore the red planet without having to leave their homes. Dubbed as “Access Mars”, the new project virtually transports users, wherever they are, to Earth’s neighboring planet in the solar system. HTC Vive have created a system which allows 50 VR units to work together with no cross-interference. I know Quentin Schultze from our years working together at Calvin College, in Grand Rapids, Michigan (USA). I have come to greatly appreciate Quin as a person of faith, as an innovative/entrepreneurial professor, as a mentor to his former students, and as an excellent communicator. Quin has written a very concise, wisdom-packed book that I would like to recommend to those people who are seeking to be better communicators, leaders, and servants. But I would especially like to recommend this book to the leadership at Google, Amazon, Apple, Microsoft, IBM, Facebook, Nvidia, the major companies developing robots, and other high-tech companies. Why do I list these organizations? 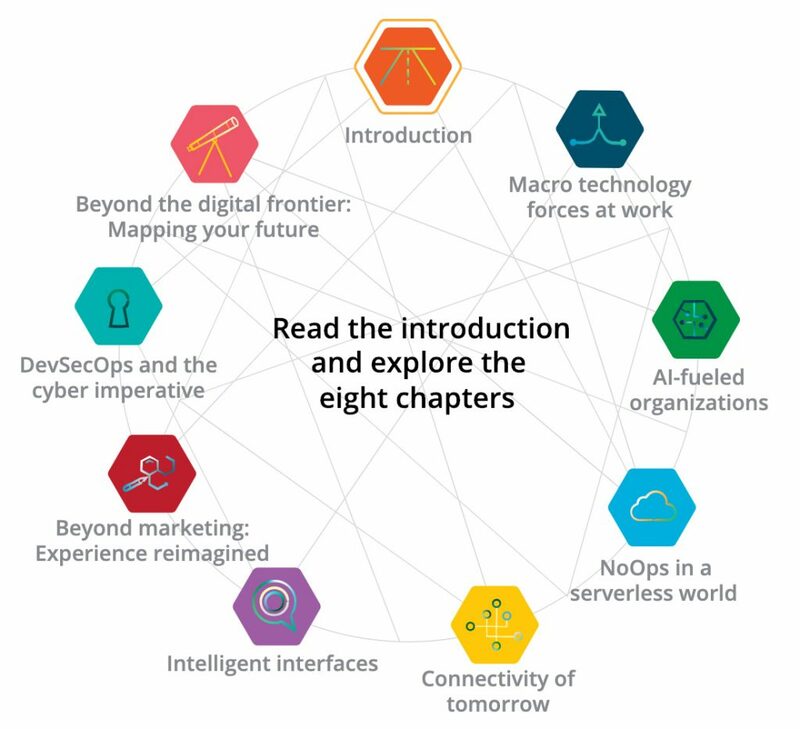 Because given the exponential pace of technological change, these organizations — and their leaders — have an enormous responsibility to make sure that the technologies that they are developing result in positive changes for societies throughout the globe. 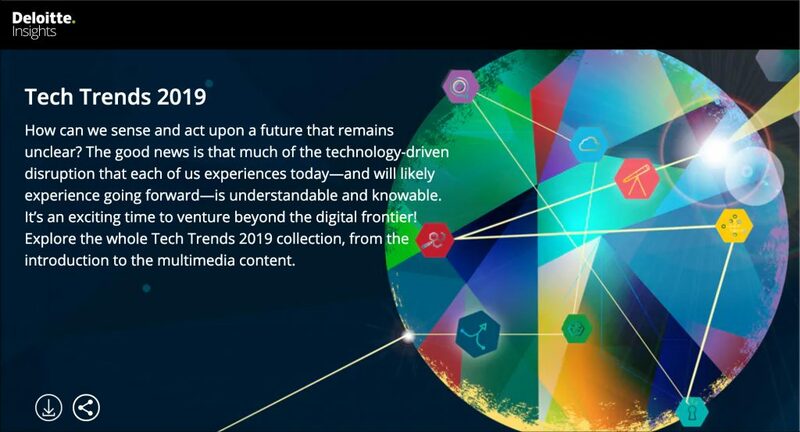 They need wisdom, especially as they are working on emerging technologies such as Artificial Intelligence (AI), personal assistants and bots, algorithms, robotics, the Internet of Things, big data, blockchain and more. These technologies continue to exert an increasingly powerful influence on numerous societies throughout the globe today. And we haven’t seen anything yet! Just because we can develop and implement something, doesn’t mean that we should. Again, we need wisdom here. But as Quin states, it’s not just about knowledge, the mind and our thoughts. It’s about our hearts as well. That is, we need leaders who care about others, who can listen well to others, who can serve others well while avoiding gimmicks, embracing diversity, building trust, fostering compromise and developing/exhibiting many of the other qualities that Quin writes about in his book. Our societies desperately need leaders who care about others and who seek to serve others well. I highly recommend you pick up a copy of Quin’s book. There are few people who can communicate as much in as few words as Quin can. 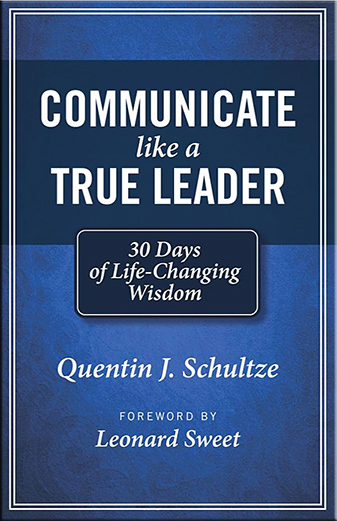 In fact, I wish that more writing on the web and more articles/research coming out of academia would be as concisely and powerfully written as Quin’s book, Communicate Like a True Leader: 30 Days of Life-Changing Wisdom. To lead is to accept responsibility and act responsibly. There’s a misconception out there that the future of work will be robots and artificial intelligence automating all the jobs, leaving nothing for majority of the world’s citizens to do. History says that’s not the case. Over the past 120 years, there have been incredible technological advancements – cars, personal computers, the internet, smartphones, etc. – that have automated or eliminated aspects of nearly every job. But jobs haven’t gone away; instead, they’ve generally become more complex or changed scope, requiring new skills to complete them. Hence, over the next five years, with AI and other technologies changing the market, jobs won’t go away. 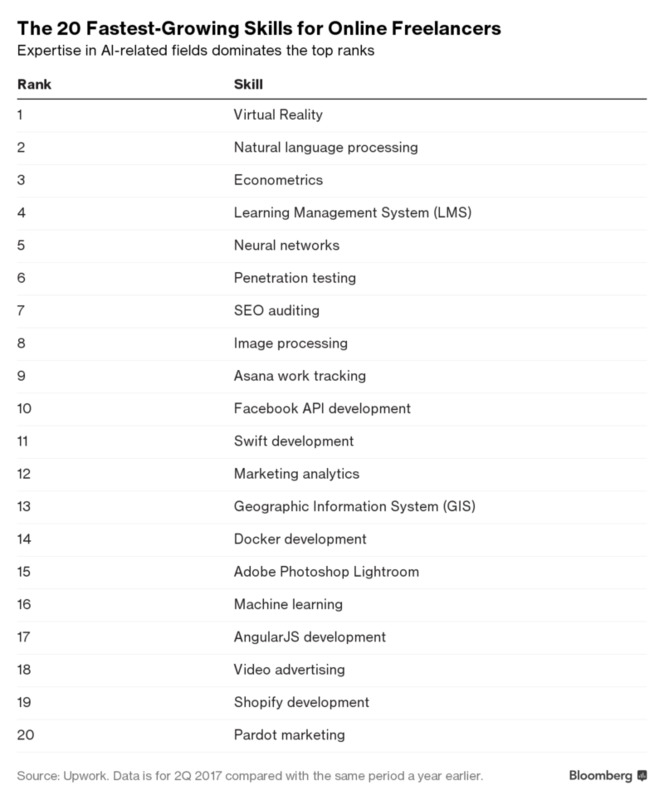 But the skills needed to do most jobs will change (and, in many cases, change drastically). This sounds scary, but it really isn’t. Preparing for the future merely requires a commitment to learning – one of the most empowering activities a person can engage in. And, with all this change comes great opportunity. So, if you commit to learning and stay ahead of your industry, you’ll put yourself in position to reach your goals – regardless of where you stand now. 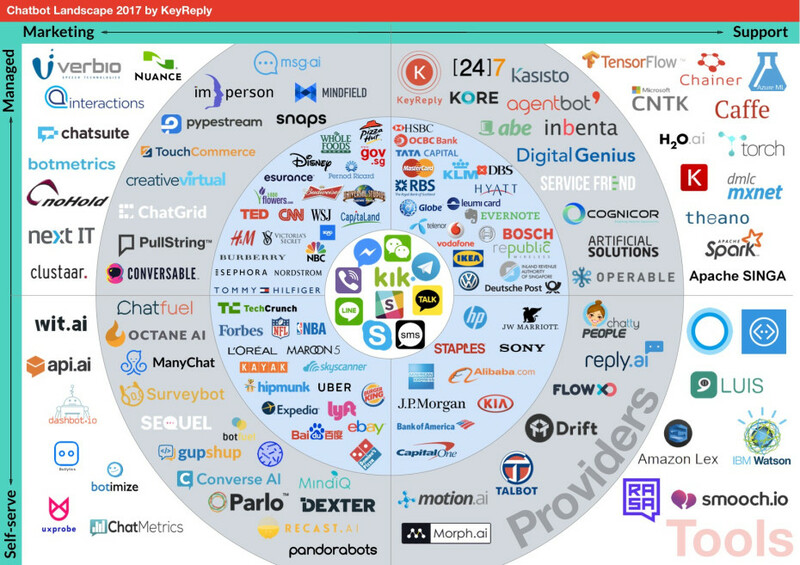 Businesses and brands are using chatbots in lots of exciting ways. You can order food, schedule flights, and get recommendations for pretty much anything you can think of. We’re still in the early days, but the latest chatbot statistics all say the same thing: adoption is growing. Whether you like it or not, chatbots and virtual assistants are the future of marketing and customer support. So which brands are already making the most of chatbots to delight their customers? Workers who specialize in artificial intelligence also saw big jumps in demand for their expertise. Declan tried it again, and this time the robot shook back and forth on the gray rug. “It did it!” he cried. Amanda Sullivan, a camp coordinator and a postdoctoral researcher in early childhood technology, smiled. “They’ve been debugging their Hokey Pokeys,” she said. The children, at a summer camp last month run by the Developmental Technologies Research Group at Tufts University, were learning typical kid skills: building with blocks, taking turns, persevering through frustration. They were also, researchers say, learning the skills necessary to succeed in an automated economy.